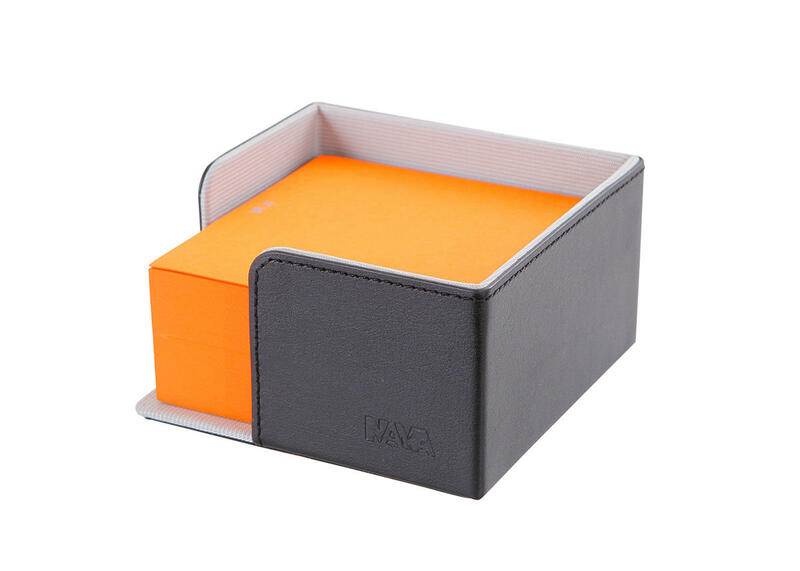 The desk memo pad holder of the line "Details" is the practical and elegant item, made of bonded leather, that allows you to keep your desk in order and to give it a touch of colour with Nava Design's post-it in fluorescent colours included. An object cared up to the smallest particular with side detail and inner lining in contrasting colour. 2.4 x 4.3 x 4.3 "